Terri L. Rymer, 67, passed away at her home on Friday, September 21. 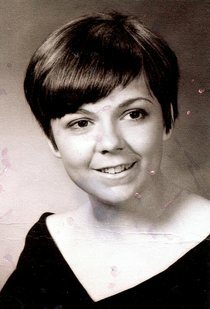 She was born on September 19, 1951 in Richmond, Indiana to Thomas and Louise Ladd Palmer, both of whom preceded her in death. She loved her kids and family. She was a hard worker who taught herself to bake cakes to support her family. She worked at Annie's for several years and continued to follow her love in food service. She also excelled at selling cars for Denny's Auto Sales. She was a member of AA and was in her 17th year of sobriety. Terri will be missed by her daughter, Jodi Staker; son, Jamey Sleesman; grandchildren, Jasmyn, Isiah, Seth and Anaylah; three great-grandchildren and two sisters and their brother.